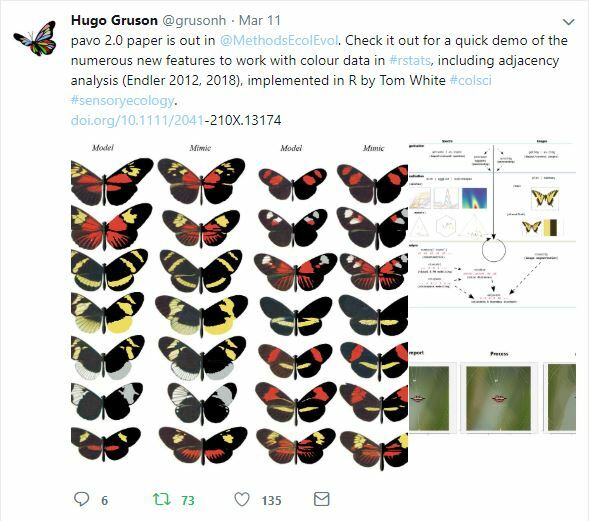 Some things are just irresistible to a community manager – PhD student Hugo Gruson’s recent tweets definitely fall into that category. I was surprised and intrigued to see an example of our software peer review guidelines being used in a manuscript review, independent of our formal collaboration with the journal Methods in Ecology and Evolution (MEE). This is exactly the kind of thing rOpenSci is working to enable by developing a good set of practices that broadly apply to research software. The role of science journals is to publish papers about scientific research. We need to maintain some quality in what is published, so we use peer review, and ask experts in the subject of a paper to read it and check that it is correct, the arguments make sense etc. One of the types of paper we publish is Applications, most of which describe software that will help ecologists and evolutionary biologists to do their research. Our focus is on the paper itself, but we also want to be confident that the software is well written, e.g. that it has no obvious bugs, and that it is written so that future versions will not break. Of course, it takes a lot of time to thoroughly review software, and that is not the primary job of the journal’s peer review process. But we appreciate that this needs to be done, and indeed many of our reviewers and editors put a lot of time into doing just this, something we really appreciate. But can we do this better? Fortunately, we were approached by the rOpenSci organisation, who wanted to collaborate with us to do this (a huge thanks to Scott Chamberlain for this initial approach and all of his hard work in putting this collaboration together). They are a group of coders, mainly in ecology, who have written a large number of open source R packages for a variety of tasks (e.g. importing data, visualisation). They also want to maintain good quality code, so they have implemented a variety of methods to do this. This week is Peer Review Week, the slightly more popular academic celebration than pier review week. Peer review is an essential part of scientific publication and is – like Churchill’s democracy – the worst system to do it. Except for all of the others. The reason it’s imperfect is mainly that it’s done by people, so there is a natural desire to try to improve it. One suggestion for improvement is to us double blind reviews. At the moment most journals (including Methods in Ecology and Evolution) use single blind reviewing, where the author isn’t told the identity of the reviewers. The obvious question is whether double blind reviewing does actually improve reviews: does it reduce bias, or improve quality? There have been several studies in several disciplines which have looked at this and related questions. After having looked at them, my summary is that double blind reviewing is fairly popular, but makes little or no difference to the quality of the reviews, and reviewers can often identify the authors of the papers. For many academics, especially Early Career Researchers, writing a review can seem like quite a daunting task. Direct training is often hard to come by and not all senior academics have the time to act as mentors. As this week is Peer Review Week, we wanted to provide some advice on what makes a good review and what makes a bad review. This advice has been kindly provided by the Methods in Ecology and Evolution Associate Editors – all of whom are authors and reviewers as well. As many of you will already know, this week is Peer Review Week (19-25 September). 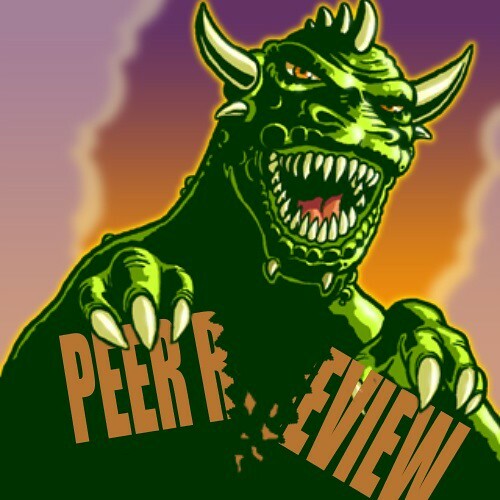 Peer Review Week is a global event celebrating the vital work that is done by reviewers in all disciplines. To mark the week, we will be having a series of blog posts about peer review. The theme for this year’s Peer Review Week is recognition for review and we’re starting our celebrations by thanking everyone who has reviewed for us this year. Without the hard work and expertise of the people who voluntarily review papers for us, Methods in Ecology and Evolution would not be the successful journal that it is today. We are incredibly grateful for all of the time and effort that reviewers put into reading and commenting on the manuscripts that we send to them. A huge THANK YOU to everyone who has reviewed for Methods in Ecology and Evolution – whether you’ve worked on one paper or twenty – we really appreciate your time and effort. You can see the names of everyone who has reviewed for us so far in 2016 on our website.